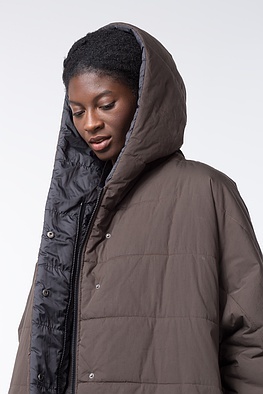 The colder the winter is, the more beautiful OSKA quilt is. 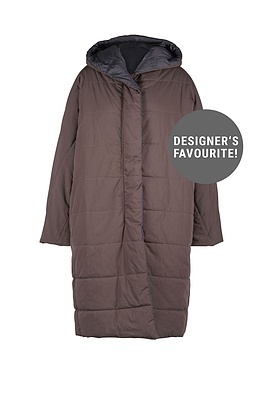 Yet this bicoloured coat model in comfort size has more to offer. Its high quality material is ultralight and it can be reversed. Further fitting highlights are the concealed button panel and shawl collar, the sporty zipper and two pockets. 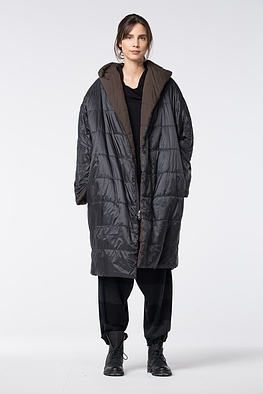 This coat is a winter basic for every day, is extremely casual and guaranteed to be your seasonal favourite next winter and the one after that as well.